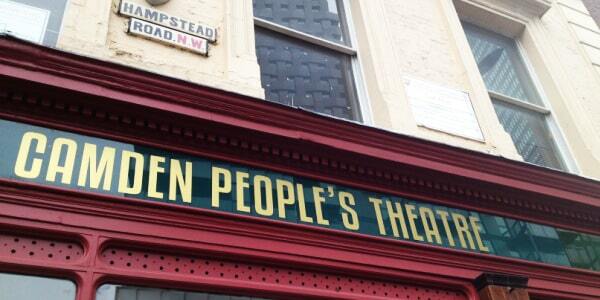 The Camden People’s Theatre was founded in 1994 by a collective of theatre practitioners focusing on a collaborative method of developing theatre. The theatre’s primary focus is on visual, physical, and contemporary theatre. This has been emphasized in SPRINT, a festival of contemporary theatre that has ran since 1997 (including, in recent years, off-site projects) and TONIC (Training Of New and Innovative Companies), a project encouraging the development of new theatre the works with up to eight companies a year. With both an intimate black box theatre and rehearsal space available for use, the Camden People’s Theatre continues to support emerging artists and the creation of new ways to present art.